The inaugural Nephrology Twitter Journal Club kicks off tomorrow evening, that’s Tuesday April 29th, at 9pm Eastern time. The article being discussed concerns the implementation of a kidney disease screening and education program and its impact on ESRD preparation and survival. Participation in the program was associated with higher rates of pre-ESRD nephrology care and higher rates of non-hemodialysis renal replacement therapy including peritoneal dialysis and pre-emptive kidney transplantation. The enrolled patients had a lower overall mortality, although this was not statistically significant after adjusting for ESRD preparation. The articles for Nephrology Twitter Journal Club will be chosen by you, the users. Please post links to potential articles using the #NephJC hashtag. The next journal club is tentatively penciled in for 2 weeks time. The Twitter journal club is the latest in a number of online educational projects in our specialty and comes at a time of rapid growth in the online Nephrology community. The live chat will be an hour long discussion on Twitter, involving the authors where possible, but comments will be welcome after the event and will be collated. Please visit the excellent Nephrology Journal Club homepage for more information and remember to use the hashtag #NephJC when commenting. In NDT this month, there is a nice series of articles outlining the ongoing debate about whether or not an eGFR<60 should be considered a disease, particularly in the elderly. The pro side was argued by Giuseppe Conte and the anti by Richard Glassock. Finally, there was a moderator's opinion written by Stein Hallan and Ron Gansevoort. Dr. Glassock makes the familiar argument that age-related decline in GFR is ubiquitous and should not be considered a disease (with the associated anxiety and insurance issues that accompany such a diagnosis). This is particularly the case in elderly patients with stage 3a CKD and no albuminuria who almost never progress to ESRD and, in fact, whose eGFR declines at a rate of approximately 1ml/min/year. Labeling these patients as "CKD" leads to a huge expansion in the number of individuals diagnosed with CKD over the age of 75 in particular encompassing a significant proportion of the US population who reach this age. In this, he is countered by both the con side and the moderator who take the position that CKD 3a is something that should not be ignored and should not be considered a part of normal aging.The most convincing argument in favor of this position is the relative risk of death from cardiovascular disease in patients with moderate reductions in eGFR relative to those with preserved renal function. It is well known that CKD is associated with an increased risk of CVD. Although the relative risk of CVD decreases as individuals age, even in elderly patients, those with CKD stage 3a are approximately twice as likely to die of CVD than those without CKD. This risk is present whether or not individuals have proteinuria. As the moderator points out, in the 1970s, high blood pressure and high cholesterol were ignored in the elderly as they were seen as being a normal part of aging despite the fact that epidemiologic data suggested that these were associated with adverse outcomes in the elderly too (although, as with CKD, the relative risk was reduced compared to younger individuals). eGFR-defined CKD is an independent risk factor for cardiovascular disease. The fact that there is an absence of specific therapies that could be used in this population to slow decline or attenuate CVD risk (beyond traditional risk factor treatment) does not mean that it should be ignored. In fact, given the high prevalence of this condition in the general population, and the number of excess CVD deaths that can be attributed to CKD, this is an area where research should be focused to determine how we can reduce risk in these patients. I'm afraid I have to go with the moderator and Dr Conte on this one. You have probably noticed the flurry of articles published this week in the NEJM, coinciding with the International Liver Congress meeting in London, reporting incredible results with new direct-acting antiviral agents in Hepatitis C. This is undoubtedly one of the biggest medical stories of the year and a triumph for science, coming just 25 years after the discovery of the RNA virus. The studies were in patients with genotype 1 HCV although apparently the response is equally as good in other genotypes. The new agents interrupt viral replication which is vital for HCV to exist. Briefly, 2 different regimes have demonstrated sustained viral responses of 94-99% within 12-24 weeks in chronic Hepatitis C patients with and without cirrhosis and with and without previous treatment failures with standard therapy. The agents were administered as once daily in pill form and were well tolerated overall. Ledipasvir and sofosbuvir were the agents in one group of studies and ABT-450, ritonavir, dasabuvir and ombitasvir in the other studies (latter group all had ribavirin; no additional benefit with ribavirin in ledipasvir and sofosbuvir studies). · Ribavirin is contraindicated at GFR <50mls/min. · Pegylated interferon is contraindicated at GFR<15mls/min (with the added issue of assessing renal function in liver patients). 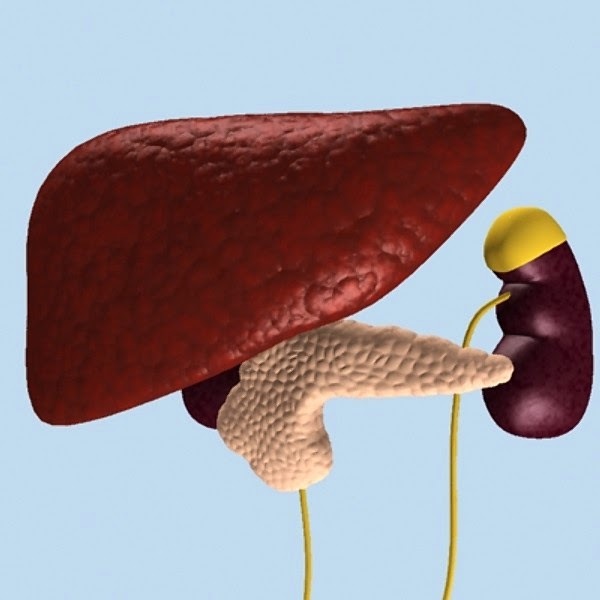 · Renal transplant recipients who are anti-HCV positive pre-transplant have increased proliferation of HCV, a significantly increased risk of post-transplant chronic active hepatitis, de-novo glomerular disease and may have an increased risk of death. · Interferon-alfa is associated with aggressive renal allograft rejection that frequently leads to graft loss, necessitating treatment pre-transplant if at all. Likely mechanisms of this include upregulation of NK cells/cytotoxic T-cells, induction of cytokine gene expression and cell surface expression of HLA antigens. For nephrologists, we want to know what role these agents will have in our patients. The first issue to note is that all these studies excluded patients with a creatinine clearance <60mls/min (as per Cockcroft-Gault in ABT-450 based studies; unknown method in the ledipasvir/sofosbuvir studies). As per the manufacturer, sofosbuvir has never been studied in patients with a creatinine clearance <30mls/min. However, a trial is underway examining its use in this population. I could not find any data on the other agents regarding renal function. The incredible results of these studies should have beneficial knock-on effects for nephrology, including a lower incidence of HCV-related nephropathies, the ability to treat patients post-transplant and maybe even less demand for combined liver-kidney transplant. However, some uncertainty remains particularly regarding how to use these agents in CKD/ESRD and predictably, economics. Estimated treatment costs of $90,000 will preclude many in the developing world, in particular, from accessing these curative agents. We await with interest how the story progresses from here. Rituximab, the monoclonal chimeric anti-CD20 antibody, is an effective B-Cell depleting agent and continues to gather data for its use in a wide range of conditions relevant for the Nephrologist. It was also a pre-season favourite in the recent NephMadness event run by our friends at eAJKD, so I figured a quick recap was timely. As the literature is vast and grows by the week, I will only give a brief review of the current data, much of which is weak consisting of small observational reports. The jury is still out. The LUNAR study randomized 144 patients with proliferative LN to Rituximab 1g x 4 or placebo with both groups receiving MMF & steroids. The experimental group had a decrease in anti-dsDNA and complement levels. Remission rates were numerically, but not statistically, better with add-on Rituximab (57% V 46%). While a lack of benefit with additional use of Rituximab was demonstrated, whether it could be an alternative to MMF is not known. In cases of resistant LN, we again have multiple favourable case series but no hard evidence. Evidence suggests Rituximab may be effective in steroid-dependent or calcineurin inhibitor-dependent patients, allowing withdrawal of one/both agents. An open-label RCT in 54 children with SRNS examined standard therapy (with steroids & calcineurin inhibitors) to Rituximab with lowering doses of usual therapy. The experimental arm had lower proteinuria, less relapse and was more likely to be drug free at 3 months. However, relapse did occur in 18.5% of Rituximab treated patients at the time of recovery of the B-Cell population. The data does not all demonstrate a benefit however, which brings us to a recent small case series in the NEJM. Another anti-CD20 monoclonal antibody, this time the humanized preparation Ofatumumab, was reported to be an effective treatment in 5 cases of SRNS refractory to Rituximab. Although both are anti-CD20 antibodies, they have different epitope specificities which may explain the outcome in this small series. This reinforces the idea that B-Cell depletion is more complex than some may presume. No RCT data exists but observational series suggest a benefit in steroid-dependent, but not resistant cases. A new case series in NDT reports on 16 adult patients with MCD who were steroid-dependent (n=12) or resistant and given 2-4 doses of Rituximab. Overall, 13 had a complete and 2 a partial remission with one non-responder. No serious adverse events were reported but 7 relapsed after 9–28 months. Guess what? No RCT data exists but limited data suggests it may be a useful agent. (See Nate’s previous post). The largest observational study I could find included 100 patients, 32 of whom had disease resistant to other immunosuppressive agents. Baseline proteinuria of 9g/day had been present for a mean of 2 years. Complete/partial/no remission was achieved in 27/38/35 patients respectively, remissions after a mean of 7 months. Prior immunosuppressant use did not appear to alter outcome. Other smaller studies also report that patients, including those with resistant disease, may respond. There is evidence that Rituximab may cause a decrease in Anti-M-type Phospholipase A2 Receptor (PLA2R) antibodies. In this study, 25/35 patients with idiopathic MN had Anti-PLA2R antibodies, and these autoantibodies declined or disappeared in 17 (68%) of these patients within 1 year of rituximab treatment. The patients who demonstrated antibody response had much improved rates of complete and partial remission in this small study. Perhaps these autoantibodies may prove to be a useful biomarker for treatment response in MN. As per the RAVE study (& RITUXIVAS), there is now robust evidence that a 4 week course of rituximab is non-inferior to cyclophosphamide in the treatment of AAV, including a finding that it may be superior to conventional immunosuppression in relapsing patients. Note that only 2/3 of patients had renal impairment in RAVE with creatinine clearances of 54-69mls/min in the 2 groups. See my previous post for more detail. Limited evidence suggests it may be beneficial in steroid-dependent but not steroid-resistant cases. We must be wary of publication bias from early series which reported positive findings, especially as they have often failed to be replicated. It has been used with some success for recurrent FSGS post-transplantation, often together with plasma exchange. There is growing evidence for a direct effect on the podocyte, as well as its known anti-B Cell effect, possibly via binding of podocyte proteins such as SMPDL-3b. It is beyond the scope of this post to delve into the use of Rituximab in transplantation. It can be used in desensitization protocols, PTLD and treatment of acute antibody-mediated rejection (AMR) as adjuncts to IVIG and plasma exchange (trial data awaited regarding allograft outcome). There is no clear evidence for its use in chronic AMR, which tends to have little response to any agent. Another indication is essential mixed cryoglobulinemia. 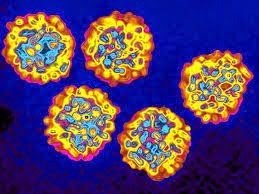 Here, Rituximab has been reported to be beneficial in cases usually associated with Hepatitis C infection. See Gearoid’s previous post. Overall, B-Cell depletion in general is an exciting treatment strategy for many of the disease processes we deal with. Like much in Nephrology, we lack strong data for if, when and how to use it. We also lack thorough knowledge as to its precise mechanism of action. Suggestions of a direct podocyte effect in glomerular disease and different mechanistic effects of alternate anti-CD20 preparations illustrate how much we have to learn. In my attempt to highlight nephrology content in non-renal journals, I will this month focus on a series of articles in Hepatology concerning eGFR in cirrhotic patients. We are all aware of the concerns using creatinine-based tools for estimating GFR in this patient cohort given their malnourished, low muscle-mass state. The use of Cystatin-C based equations may theoretically be more informative as this protein is not influenced to the same degree by non-renal factors. However, Cystatin-C is far from perfect and is influenced by sepsis, inflammation and steroid use. Other concerns include the use of the MDRD-6 equation due to the inaccurate determination of albumin (may receive IV infusions) and urea (increased by GI bleed/steroids) in these equations. As liver patients with renal dysfunction have such a poor prognosis, they are prioritized for liver transplant by way of inclusion in the MELD score, the prognostic tool used to allocate liver allografts. Since adopting MELD, the number of combined liver-kidney transplants (cLKT) has continued to grow, with cLKT considered when GFR<30mls/min and sometimes at higher eGFR. As the demand for kidneys continues to outstrip supply, nephrologists in particular have legitimate concerns regarding the potential for inappropriate use of precious renal allografts in cLKT. This may occur if eGFR underestimates true GFR as may occur with creatinine-based equations. Also concerning is overestimation of true GFR resulting in denial of cLKT where it may actually be indicated, leading to inferior patient outcomes. (See the post by Andrew regarding combined liver-kidney transplant allocation). Francoz et al studied 300 patients with cirrhosis being evaluated for transplant that had iohexol clearance measured. This was compared to MDRD-4, MDRD-6 and CKD-EPI equations (all using creatinine only) and found that MDRD-6 was the most accurate although it did underestimate true GFR and all 3 equations had poor correlation (R2 0.37-0.4). MDRD-4 and CKD-EPI overestimated GFR especially in those with GFR<60mls/m. DeSouza et al also looked at patients being evaluated for transplant (n=202) and measured GFR using inulin clearance. Throughout all severities of cirrhosis, Cystatin-C equations were superior with CKD-EPI (Cys-C) the best, compared to creatinine-based MDRD & CKD-EPI methods (which significantly over-estimated true GFR). Of note it outperformed CKD-EPI (creatinine-cystatin-C combined). Mindikoglu et al examined 72 outpatients with stable cirrhosis comparing CKD-EPI (creatinine-cystatin-C combined) to 24-hour creatinine clearance, Cockcroft-Gault equation and multiple other creatinine-based methods including MDRD & CKD-EPI. Their gold standard was iothalamate clearance. CKD-EPI (creatinine-cystatin-C) performed better than all others including CKD-EPI (Cys-C), unlike DeSouza et al. Confusing right? What we can take away from these useful studies is that Cystatin-C based equations may be better than creatinine alone equations (remember Francoz et al did NOT use Cystatin-C). However, it should be noted that the diagnostic performance of the best equations in the studies was still markedly lower than reported in validated normal populations. My feeling is that in borderline cases when a cLKT is being considered, we need additional data. I would consider a borderline case stable renal dysfunction in the eGFR 20-50mls/min range (arbitrary I know! ), not including co-existent ESLD/ESRD or obvious acute hepatorenal cases which will recover with a functioning liver allograft. As renal biopsy is usually not desirable in patient with chronic liver disease, it seems sensible to actually measure GFR in these cases. This appears to be the prudent approach to take to strike a balance between providing a kidney to those who need it and not inadvertently denying an organ to a wait-listed ESRD patient.